I grew up eating chinese food at Chien Garden … a magical place in Richardson, Texas. 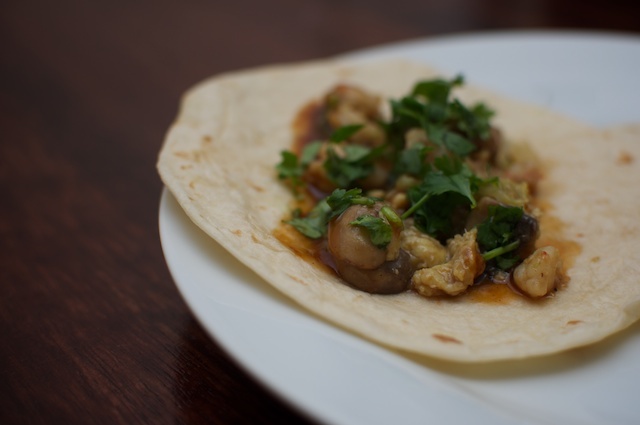 Moo Shu Pork (think chinese pork burritos) was my father’s go-to-meal. Our favorite server, Kevin, would prepare them table-side … rich sauce spread on thin tortillas, topped with pork goodness and then wrapped up with nothing more than chop sticks. Quite impressive actually. 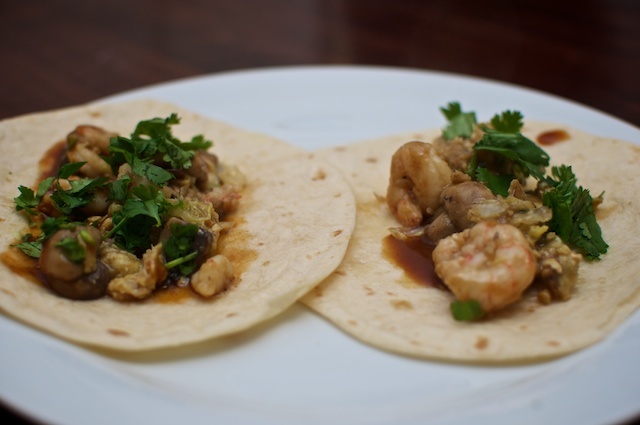 I saw this recipe for Moo Shu Shrimp, and it brought back all the good memories. 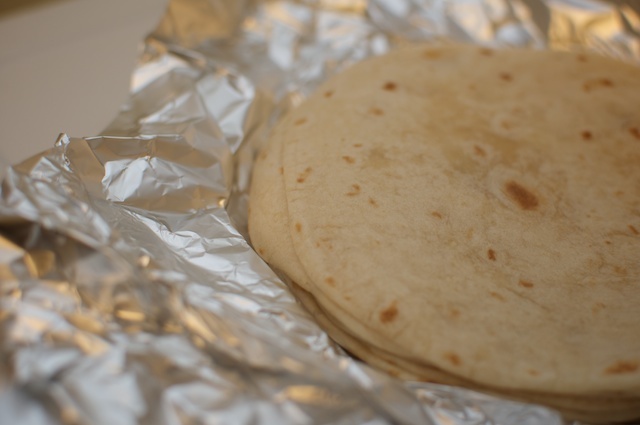 Wrap tortillas in foil and place in the oven at 200 while you prepare the meal. 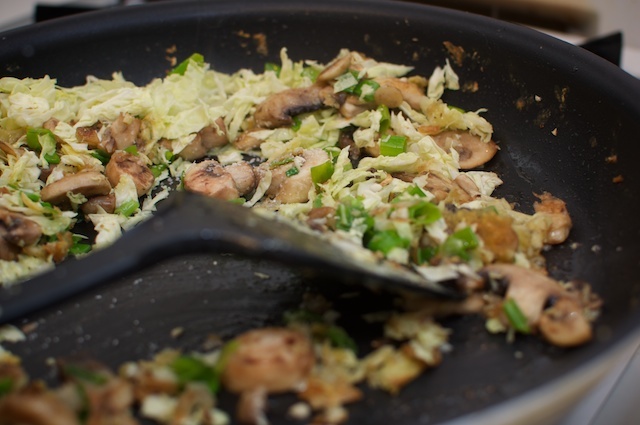 Heat a wok (or your largest saute pan) over HIGH heat. Add a little oil only after the pan is very hot. Add the shrimp and cook for about 5 minutes. 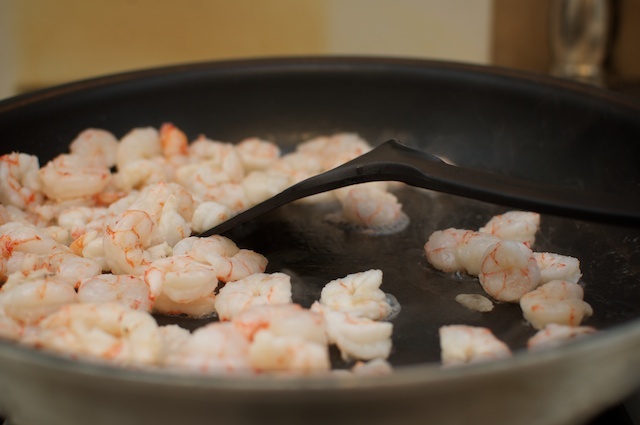 Place shrimp on a large plate. Scramble eggs in the wok and set aside with the shrimp. 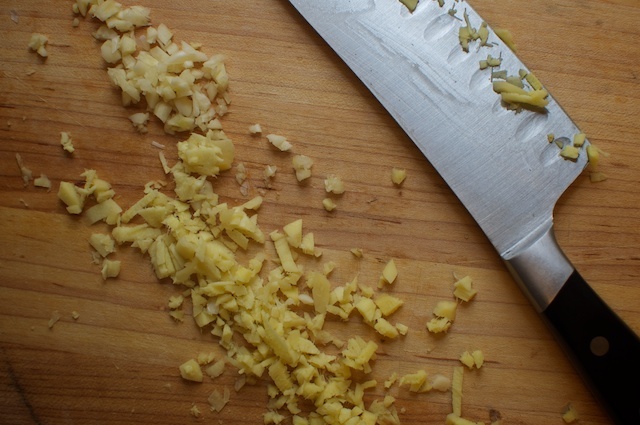 Chop garlic, ginger and mushrooms. Add a little more oil to the wok and saute until tender (about 4 minutes.) 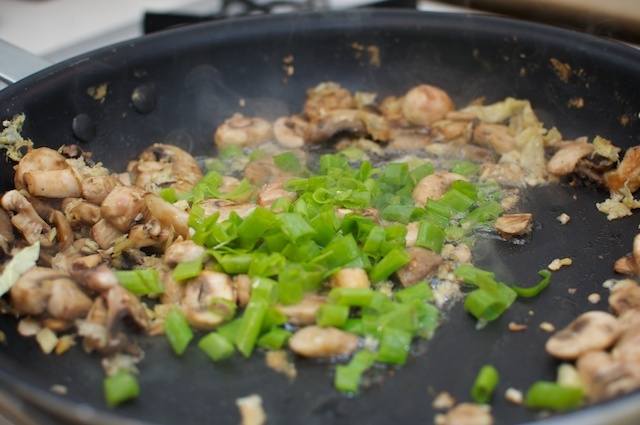 Add cabbage and green onions and saute for an additional 4 minutes. The cabbage should be tender but still crunchy. Add the shrimp and cabbage back to the wok and combine together. 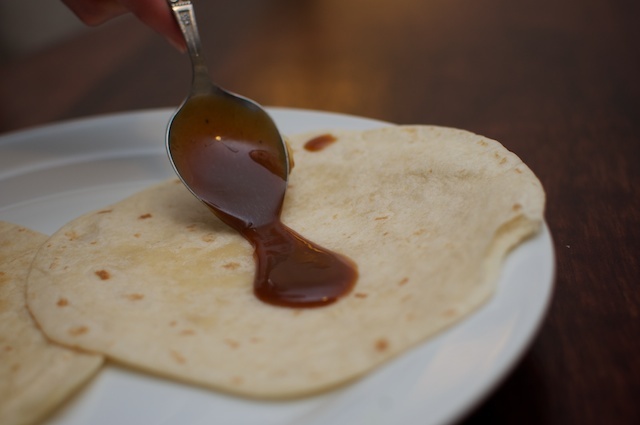 Remove tortillas from the oven. 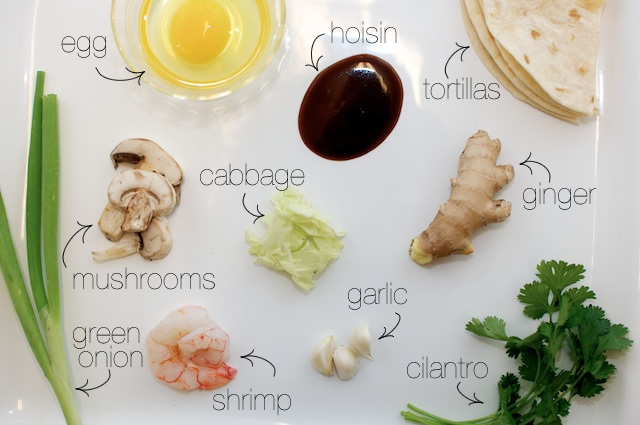 Spread hoisin sauce on a tortilla and top with shrimp mixture.